Radon Gas: A Deadly Radioactive Gas Which May Be Present In Your Home. 22,000 deaths annually are attributed to radon gas exposure in the home. Radon is the 2nd leading cause of lung cancer in the United States, second only to cigarette smoking. Unlike carbon monoxide, which can be immediately dangerous to life and health, radon exposure may take many years for the effects to become apparent. Radon cannot be seen, smelled, or tasted. But it can be detected with the proper equipment. Radon is a carcinogenic radioactive gas. The risk of death due to prolonged exposure to radon at 4pCi/l is approximately 1 in 100. Radon gas can be found virtually everywhere in the US. High levels of the gas have been found in virtually every state in our country. There doesn't seem to be a common factor which determines which type of home is more prone to radon permeation. Radon is found in new homes, old homes, drafty homes or well-sealed homes, with or without basements. 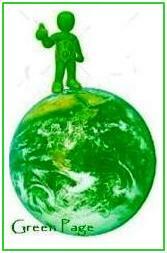 It's cause is the natural breakdown of uranium in rock, soils, and water surrounding our homes. The greatest doses of radiation that a family can be exposed to are in the home. This fact is most critical for young children, who spend 70-75% of their time inside their homes. Children are more sensitive to radon, due to their higher respiration levels and rapidly dividing cells. According to the US EPA, nearly 1 in 3 homes checked in 7 states and on 3 Indian lands had screening levels in excess of the EPA's recommended "Action level" for radon exposure. The EPA's recommended "Action level" is 4pCi/l (picocuries per liter). It is important to note that this "Action level" is not a "Safe level" There is no Safe level for exposure to radon gas. A person that spends 8 hours per day 180 days per year in an enviroment with 4pCi/l level of radon will receive 10 times more radiation than the Nuclear Regulatory Commission would allow near a nuclear power plant. Human exposure to radon gas happens primarily through breathing. Exposure can be through ingestion, but is much more rare. Water with high concentrations of radon can be ingested, but even this scenario is an inhalation hazard. The radon gas releases from the water and becomes airborne. If you have a private well, showering, washing the dishes, or doing laundry can release radon into the air. Water in sumps and floor drains can release radon into the air your family breathes. Radon gas is 9 times heavier than air, which makes your basement a natural place for the gas to settle. Then your furnace cycles on, and helps distribute the gas throughout the other areas of your home. Even just natural movement can stir up the gas and cause it to migrate. The natural air pressure inside a home is lower than the ouside ground pressure. This negative pressure can actually help draw the radon inside. Cracks in a concrete floor or foundation, sub-grade windows and window wells are all suspect inlets of radon into a home. Radon can also be drawn into a home due to the difference in concentration between indoors and the soil. Radon tries to equalize. Radon can even be introduced into your home from granite countertops. Test for it. 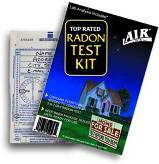 Promise yourself and your family that you will test your home for radon. Test kits are quite inexpensive, and most include the lab work! Test kits can be purchased for as little as $15.00, or you can spend hundreds. Test kits are available to test your water or your granite countertops, also. 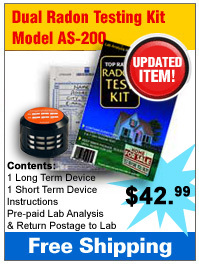 Okay, so now you have tested your home, and found that you do have radon gas present! First, Don't Panic! Your home can be fitted with a Radon Mitigation or ventilation system. And this can be done quite affordably. Go to our Radon Mitigation page to read about different options available to you.